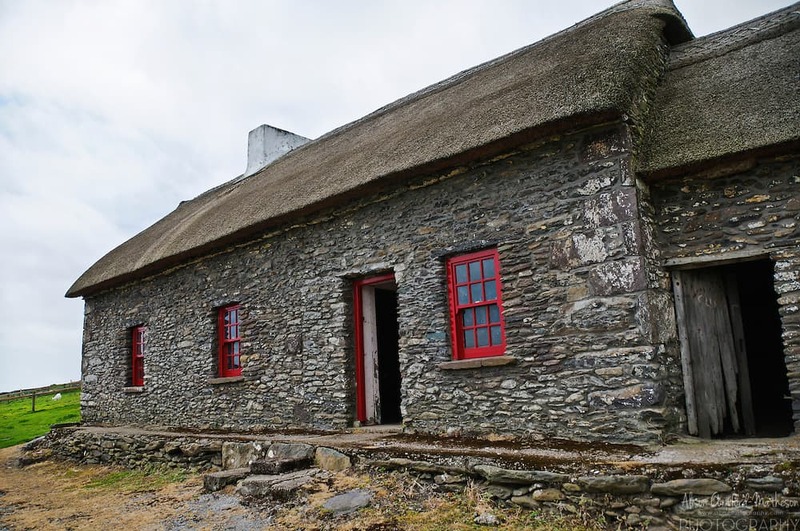 The Famine Cottages were built in the mid 19th century and originally housed the Long and then the Kavanagh family in Fán, Ventry Co. Kerry. The cottages were located on the lands of the Earl of Cork. The family lived in this house during one of the worst famines to strike Western Europe. The Great Famine. Due to its remoteness and poverty West Kerry was one of the regions that suffered greatly during the Great Famine in Ireland. One family who lived in the house had an especially sad tale. In the mid to late 1800’s Mary Long’s brother was living in the house. 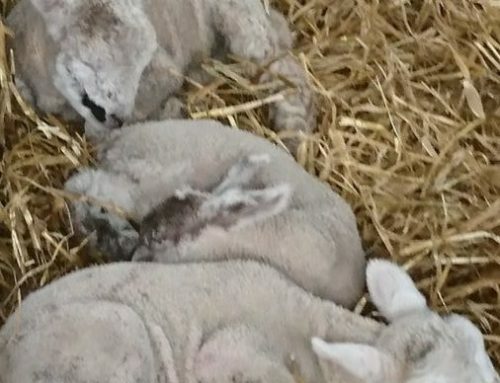 He and his wife had the bad fortune of having six of their children die at birth. If this was due to poor health and living conditions of the time is unknown. However as the children all had not been baptized before death the church would not allow them to be buried in a graveyard of the church. There parents had no choice but to bury them on their own land. They were all laid to rest just a few hundred yards from the cottage where a simple but crude stone cross marked their grave. 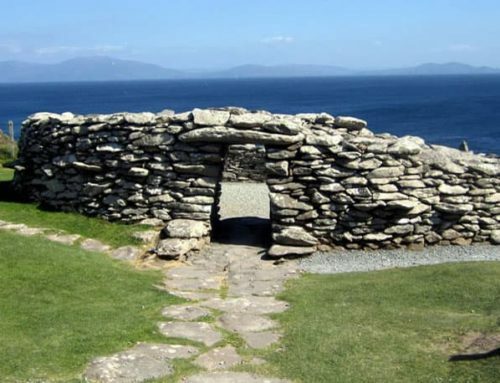 The largest of the cottages was inhabited up until the 1950’s when the last of the Kavanaghs (Tomás Ó Cíobháin) left the cottage. 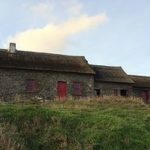 The cottage has been preserved in its original format and stepping inside the house will give the visitor the true experience of the environment the local people had to live in during famine times. The Cottages are made up of a large farmer’s cottage which has outhouses attached for the horse and cow. Surrounding the main cottage are three smaller cabins – which housed the peasants – along with a beehive huts. These cabins were built from mud and stone with much of the wood coming from shipwrecks washed up in the cliffs located 300 metres from the cabins, masts of doomed ships are clearly obvious in some of the construction. The grounds of the cottages are early Christian burial mound thought to be where the unbaptized children were buried. An early Christian stone carving and stone cross are visible within the mound. 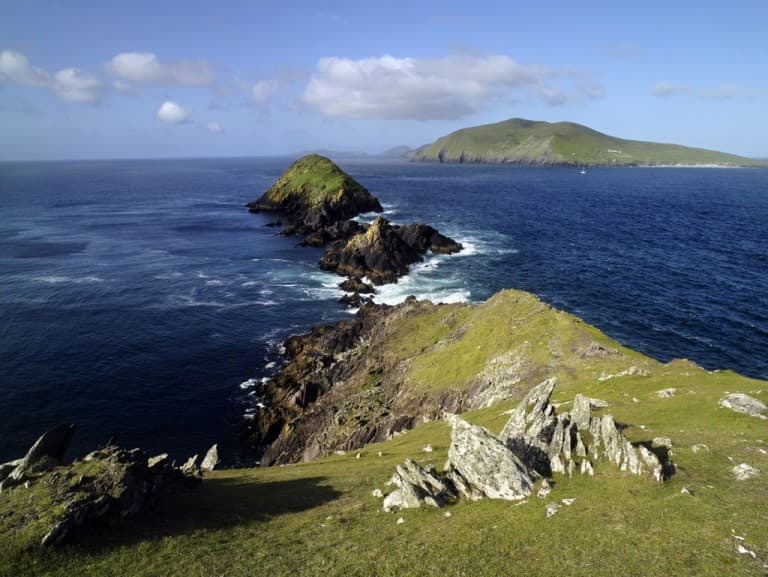 The elevation of the sight gives a fantastic panaromic view of nearby prehistoric Dúnbeg Fort, Dingle Bay, South Kerry and Skellig Rocks. 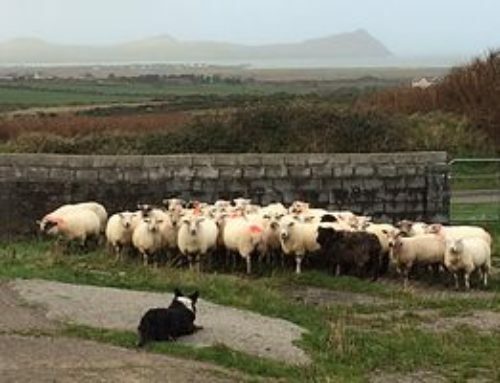 Now located in the Slea Head famine cottages are working sheepdog performances. 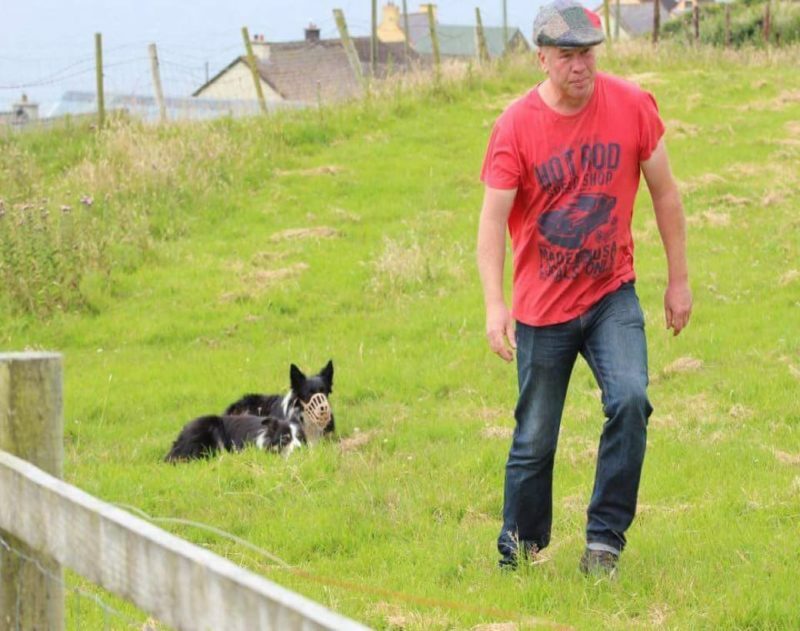 Visitors can view a local sheep-farmer skillfully working his sheepdogs in gathering and controlling the sheep. 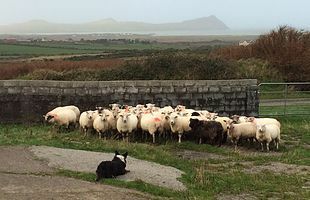 This skill has been handed down from generation to generation as sheep have been kept on the Mount Eagle for hundreds of years. 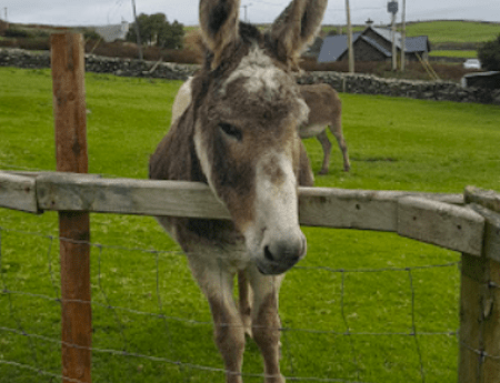 This is the only location in West Kerry offering such an attraction. 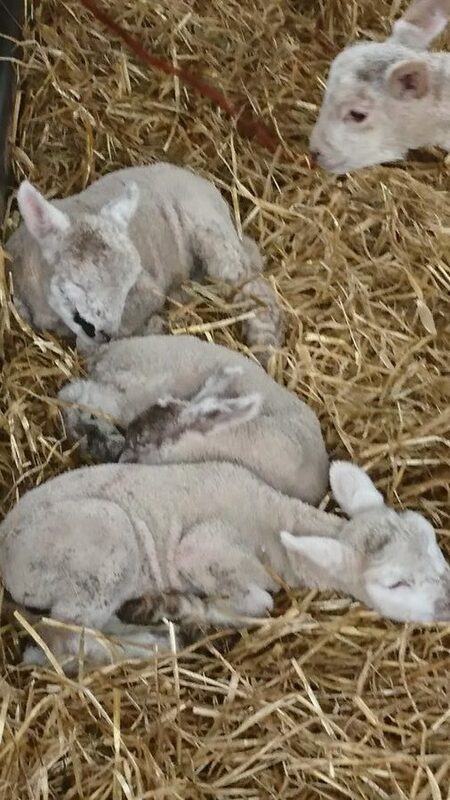 Visitors are given valuable insights into the sheep-farmers way of working which fascinates most visitors.